2. Teat cups safely parked in the arm. 3. More effective cleaning and stimulating. 5. 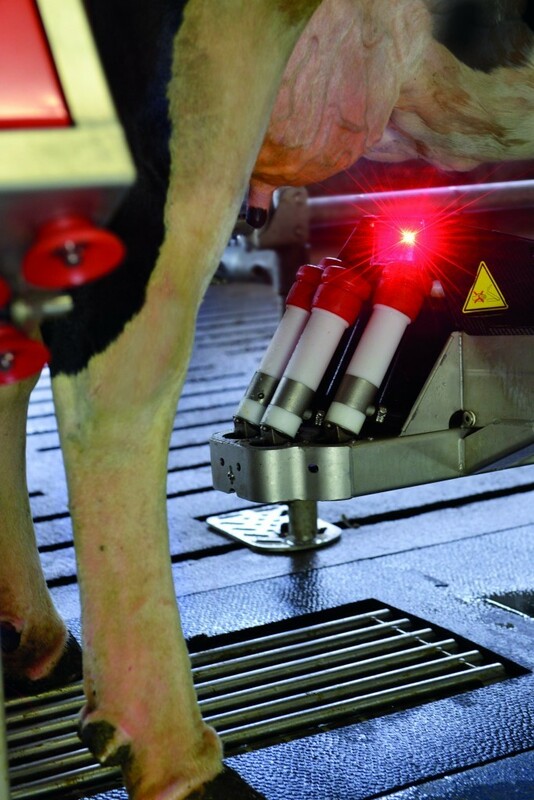 Tailor‑made milking through dynamic pulsation. 6. Relaxed milking due to fewer arm movements. 7. Accurate milk quality measurements close to the action. 8. Never a cup on the floor. 9. Energy savings through fewer movements. 10. Robust construction and durable materials.